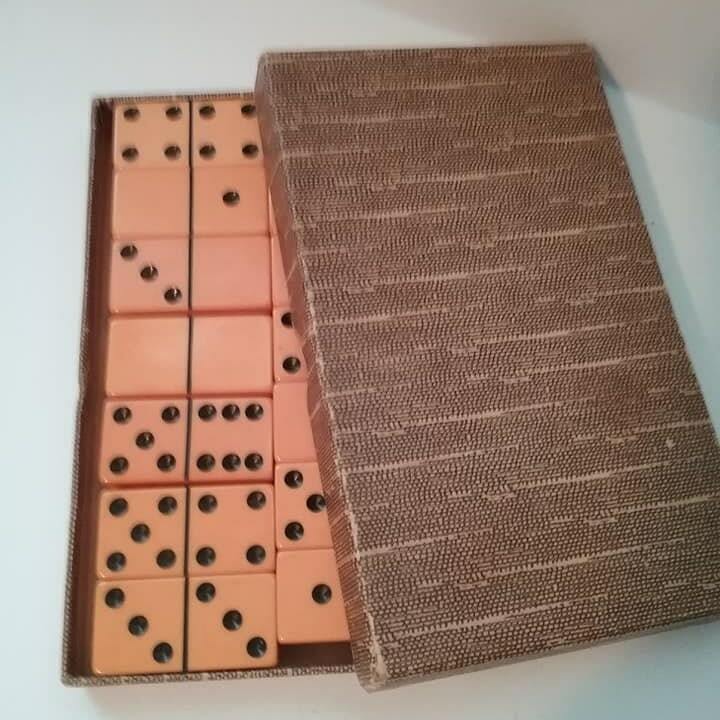 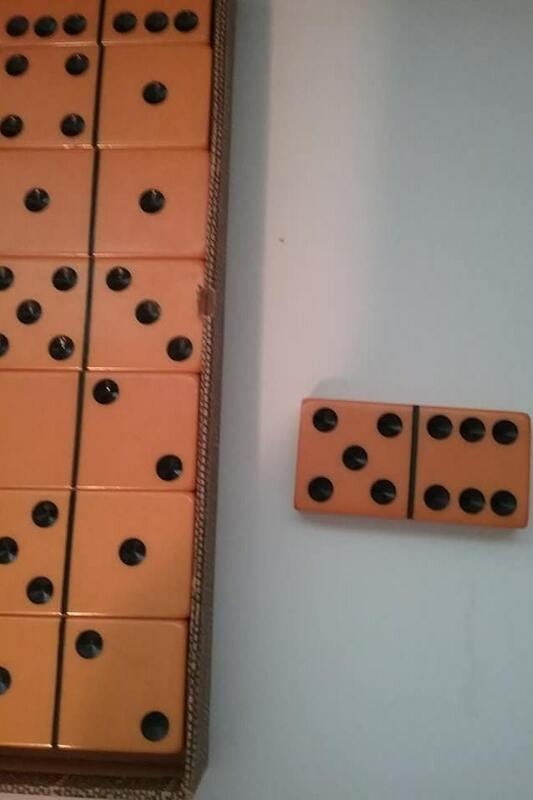 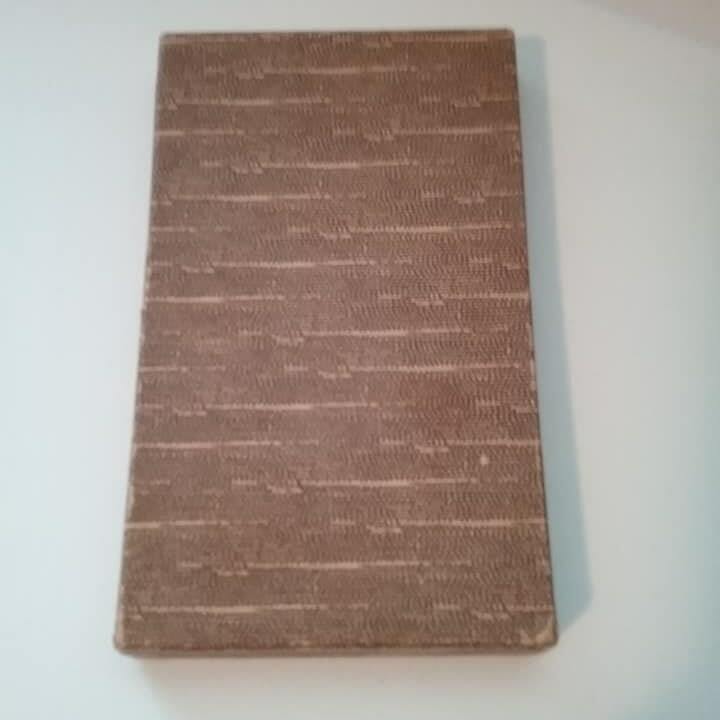 Vintage dominoes in original box. 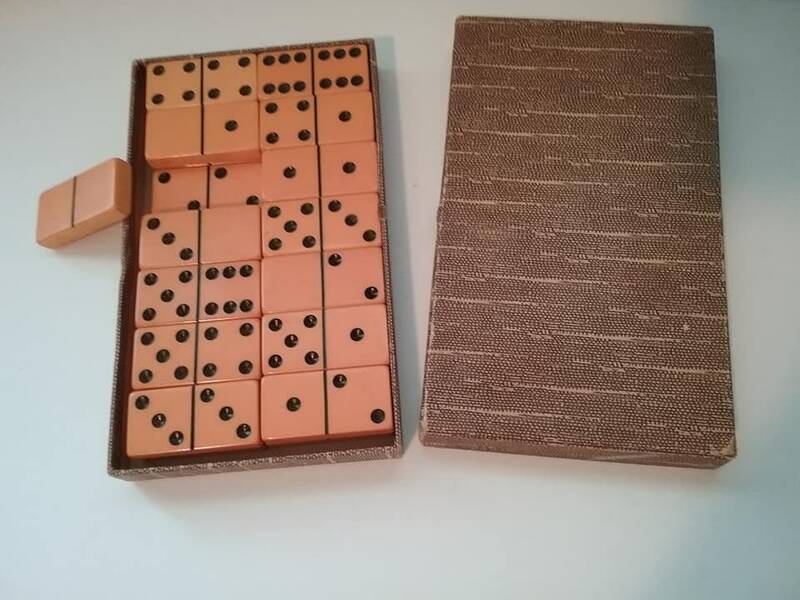 Made of Butterscotch Bakelite, 28 complete set. 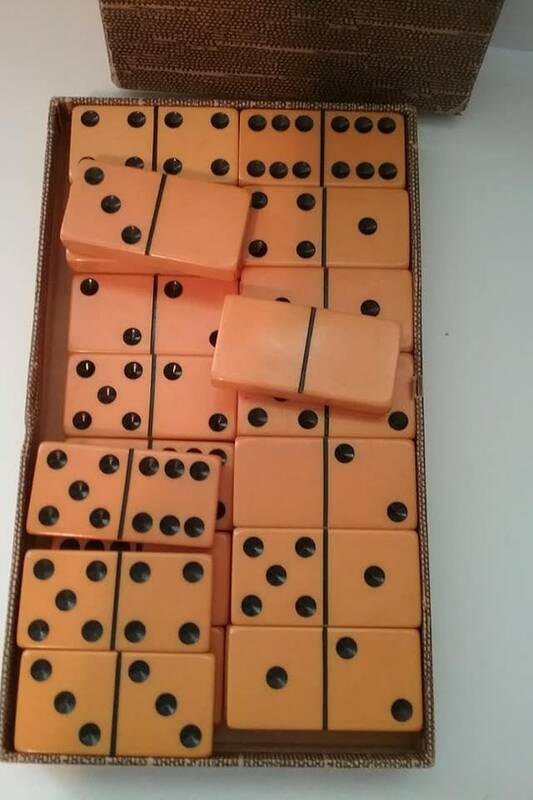 These are in excellent vintage condition, and Bakelite is highly collectible. 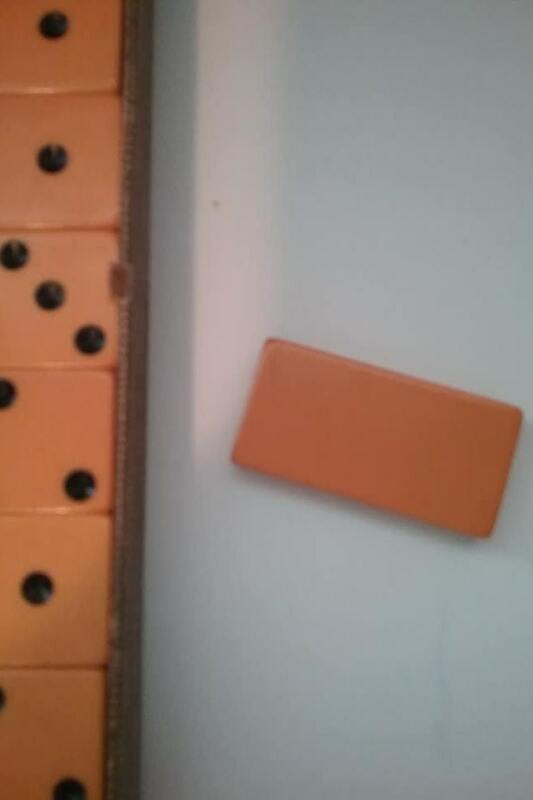 Bakelite is the first synthetic plastic that was formulated by chemist, Lee Backeland, in 1907, in New York. 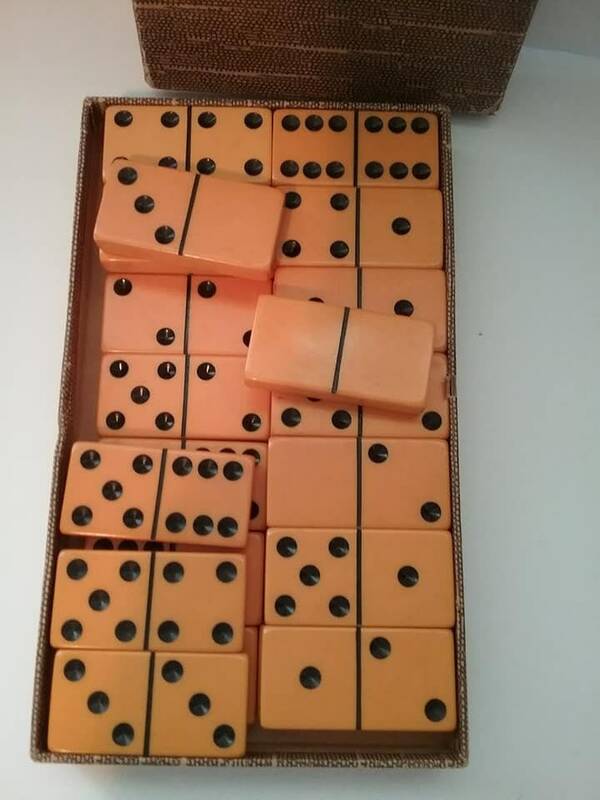 In 1993, The American Chemical Society recognized the importance of Bakelite, as the first synthetic plastic ever formulated in the world. 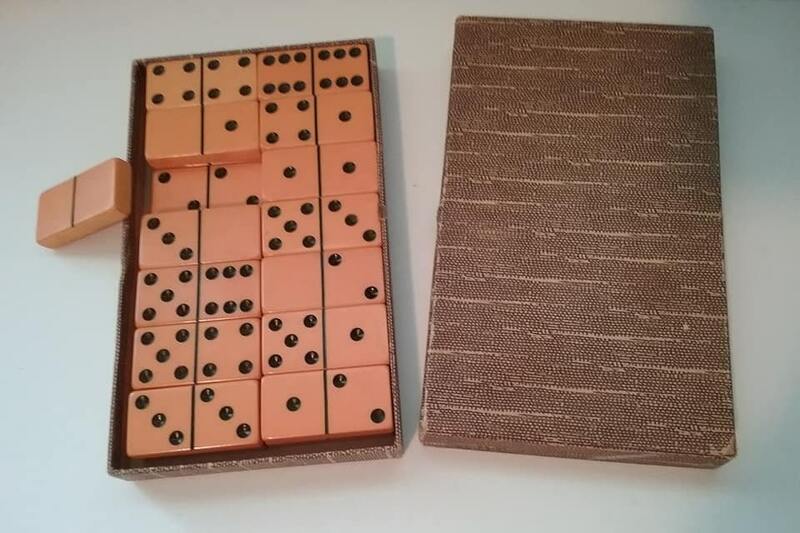 Love the game of dominoes, but this set should be doubly loved!